Effy Says… Respond To Comments On Social Media! #TBT to when I spent an afternoon posing for this incredible photoshoot! Look for creative ways to include popular and trending hashtags in your Instagram content. Stay tuned for more of Effy’s insight and follow her on Instagram, or connect with Three Girls on Facebook, Twitter and Instagram for the latest tips and tricks from our favorite office dog! Encourage your audience to interact with your story by including polls and question prompts! Stay tuned for more of Effy’s insight and follow her on Instagram, or connect with Three Girls on Facebook, Twitter and Instagram for the latest tips and tricks from our favorite office dog! Cat videos are my personal favorite. Don’t be afraid to grab your smartphone and start recording product reviews, how-to’s, vlogs, tips and more! 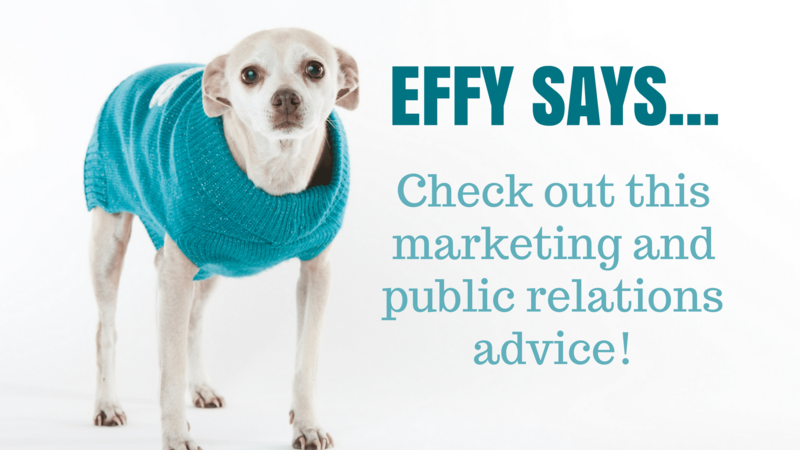 Stay tuned for more of Effy’s insight and follow her on Instagram, or connect with Three Girls on Facebook, Twitter and Instagram for the latest tips and tricks from our favorite office dog!